Well the Fed in its infinite wisdom has gone and done it again. They've created another bubble. And this bubble is arguably the 6th in the last 13 years (tech, real estate, credit, bond, oil, and now stocks - again). And let's footnote the Fed's creation of the present echo bubble in housing, for good measure. I expect we are going to see the market fall precipitously to test the previous bull market tops and erase most of last year's gains in a matter of days or weeks. 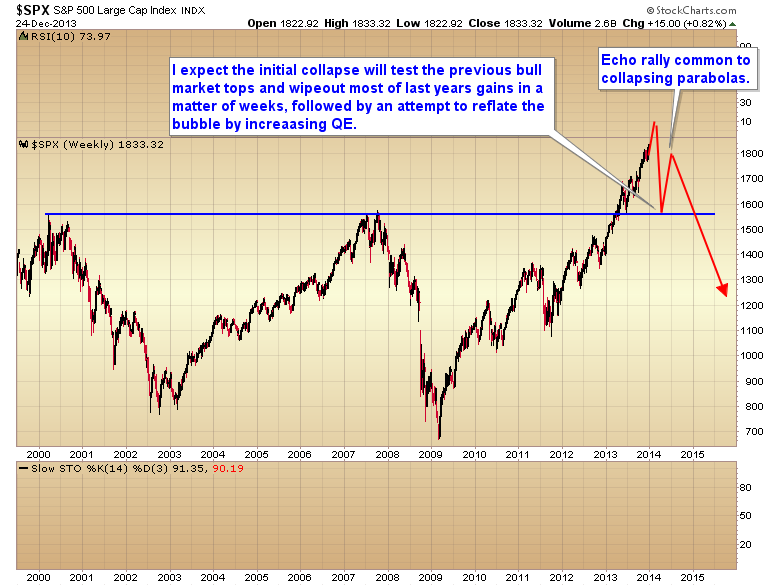 At that point Yellen will panic and all thoughts of tapering will vanish. 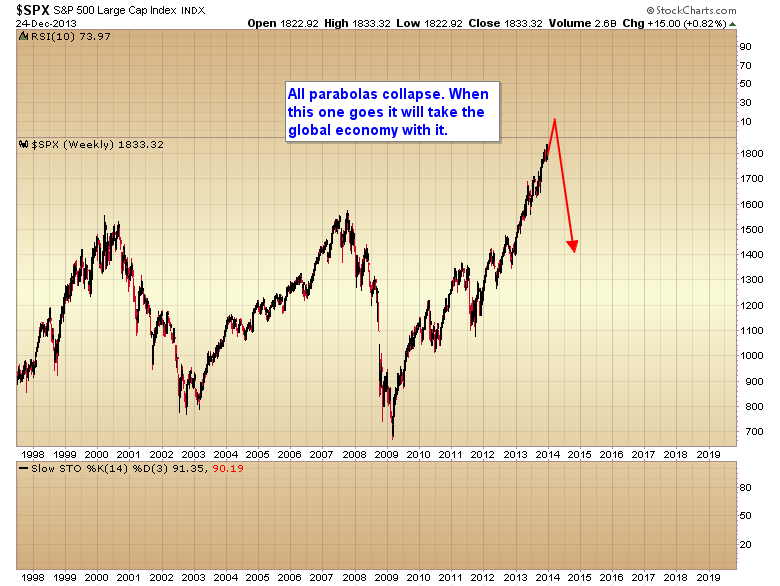 As a matter of fact I expect the Fed will increase QE, maybe drastically, to try and reflate the parabola. 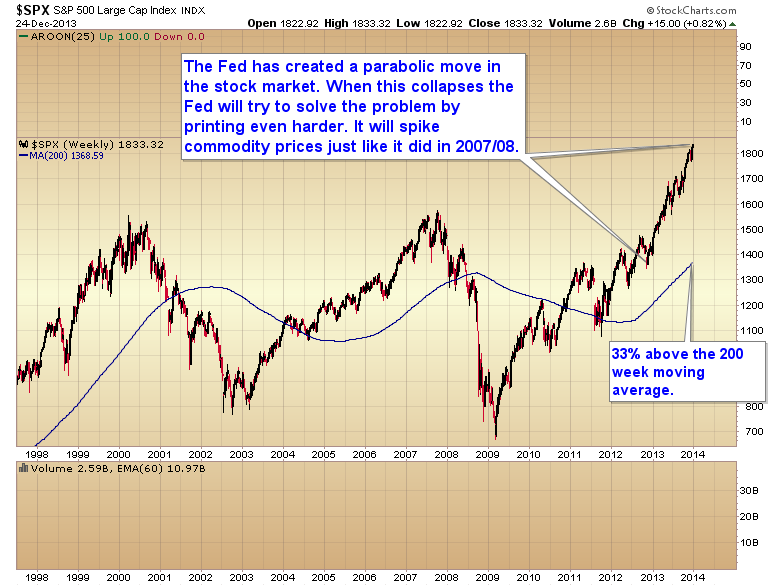 But the Fed's likely attempt to reflate and sustain the stock market will be futile, as the damage will already have been done. All they will accomplish is a violent echo rally common to all collapsing parabolas. 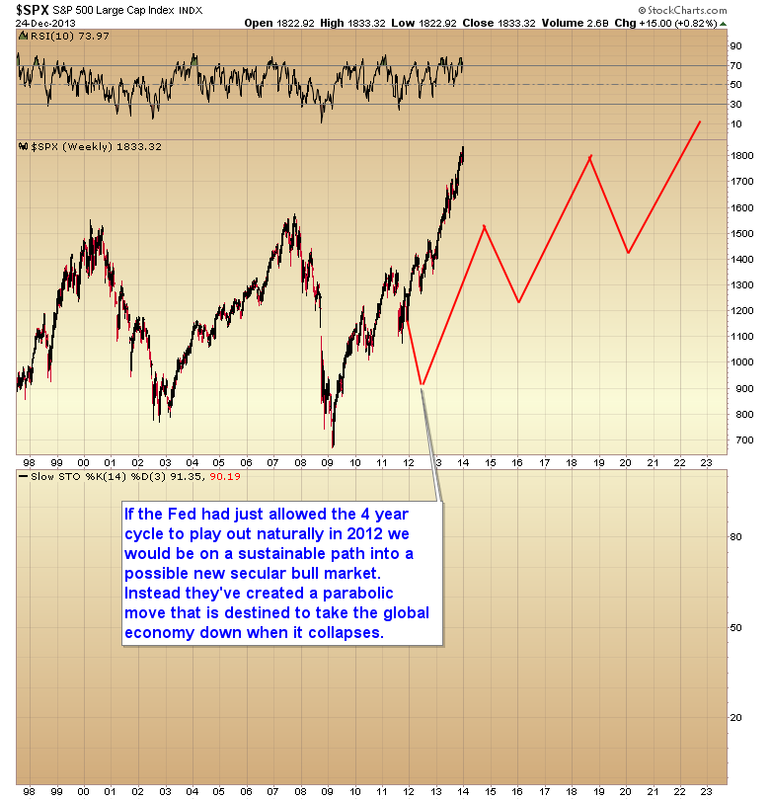 From there the bear market will have begun and the more QE the Fed throws at the market, the more and faster the liquidity will leak into the commodity markets until inflation completely destroys the economy and the next recession gets underway.